The perfect family vehicle. This 2008 Dodge Durango SLT 4X4 has 3rd row seating, clean cloth interior, power windows, keyless entry, tilt wheel, power seats and mirrors, alloy wheels, CD player, cruise control, and many more!! 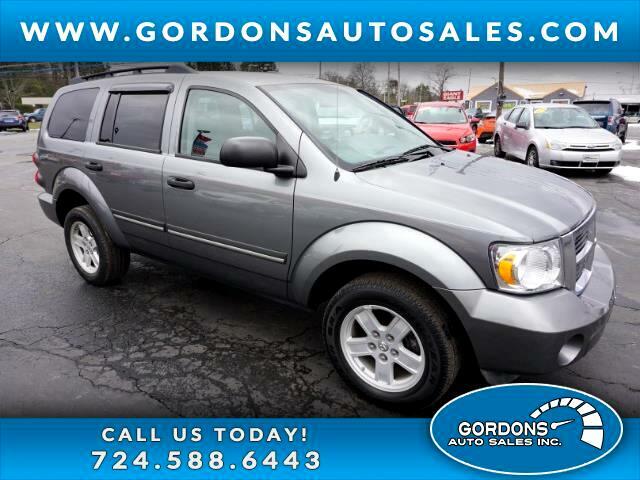 Come stop by and take this beautiful SUV for a test drive. we also offer financing for all levels of credit. Call or txt us here at Gordons Auto Sales at 724-588-6443 we look forward to hearing from you! !